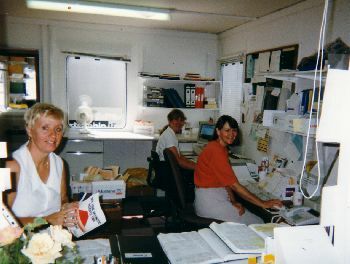 Holbrook Surgery was started in 1995 by Dr Heatley in a portacabin in a field on Tylden Way. Drs Woods and Sheikh subsequently joined him and the practice expanded rapidly. Dr Williams joined in 1997 and Dr Ziyada in 1998, both working part-time. 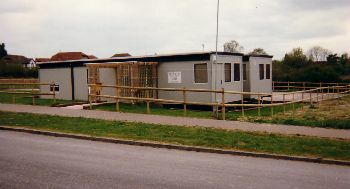 During this period of rapid growth an extra two portacabins were added and despite many obstacles, progress was made on securing the site for the permanent building on Bartholomew Way. 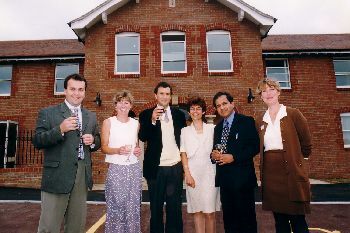 Finally in 1998 the new surgery building was opened. Dr Liu joined in February 1998 & Dr Heath in May 2001. As the surgery continued to take on more patients, Dr Singh a former GP registrar at Holbrook Surgery was employed as a salaried GP in February 2006. Dr Sheikh retired in April 2006. His patients were taken on by Drs Williams and Ziyada who both became full-time. Following Dr Heath's retirement in August 2012, Dr Singh increased to full-time work and Dr Anderson another former registrar joined as a salaried GP. Designed by Procter Associates, the building is one of the first to house notes and administration upstairs to give confidentiality and a peaceful waiting room. We aim to provide you with comprehensive primary care, both by accommodating all our community staff and also by providing a full range of clinics and services. We also try to be innovative and are constantly seeking to upgrade our skills and knowledge. Thus the doctors each specialise in a clinical area and the nurses now manage many conditions in their clinics that previously were the sole responsibility of doctors. We hope that you are happy with the service we offer. We believe health care is a partnership and trust that you will work with us to ensure you receive care of the highest standard. We therefore welcome any feedback or suggestions you may have. Modern medicine and the NHS are both changing so rapidly that it is in all our interests to communicate and co-operate effectively.